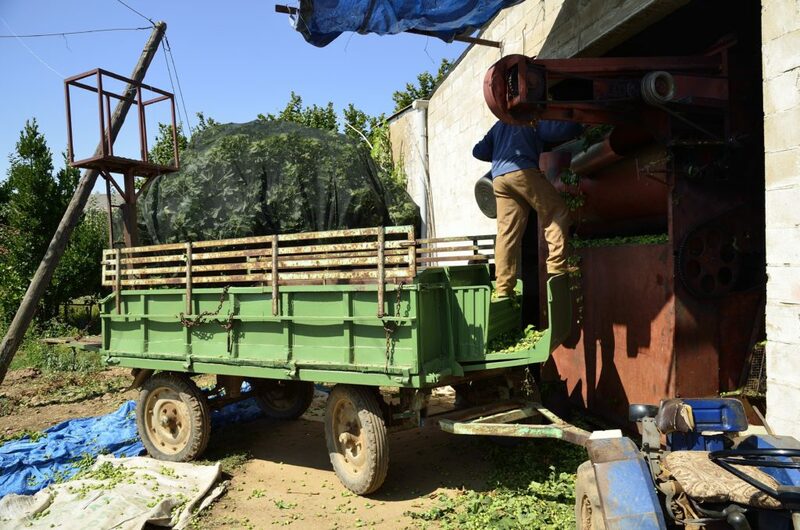 The well-oiled chug of Juan Carlos’ hop-harvesting machine has filled the air with rattling, rumbling, industrious noises for more than 30 years. 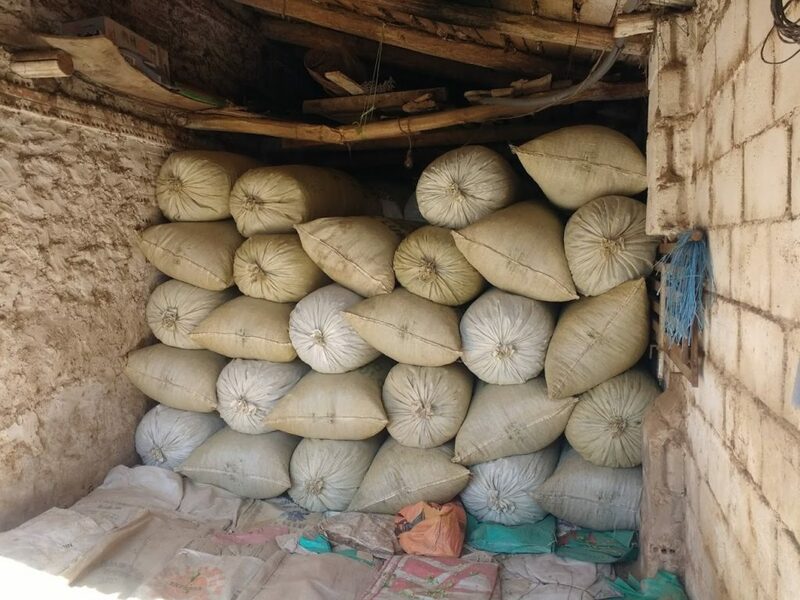 Before then, his family took in the years’ hop harvest by hand – first pulling down tall helixes of vines, then whipping each lupulin-rich cone off into sacks, ready to be shipped far away. 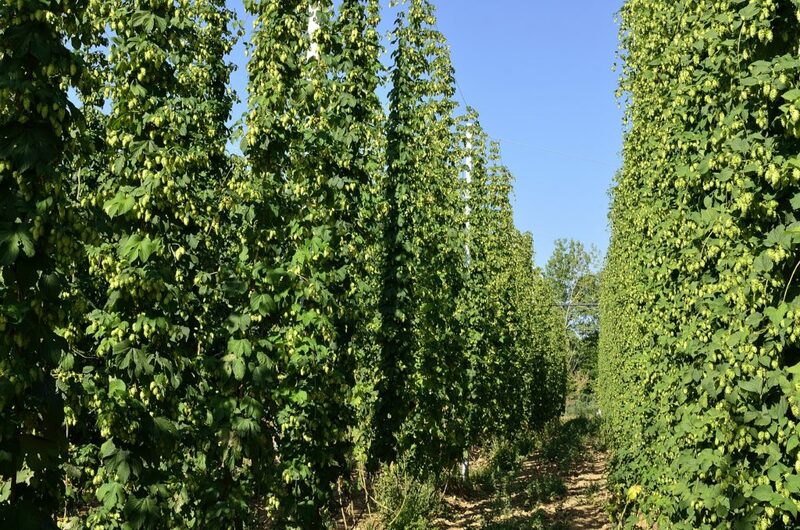 In the fields behind his home in Villamor De Orbigo, it’s hot enough for the sun to form mirage pools in the deforested space where rows of twelve-foot-tall hops have been cleared away. 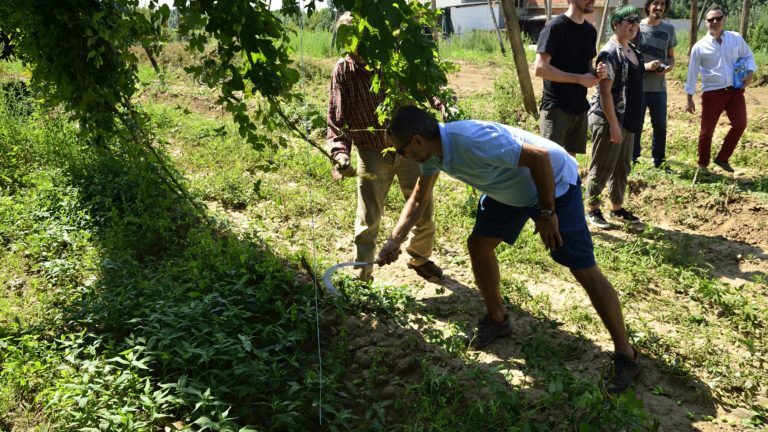 We arrived in time to help bring in the final fraction of their vines, the rest completed in less than a day by three generations of hop growers in 32 degree heat. Apparently it’s not that hot. Stood on the roof of an old tractor, Juan Carlos’ father overlooks his crop as it’s fed into the dark mercy of their terracotta-roofed barn, a building probably as old as the village itself. A windowless stone building painted in a powerful shade of sun-deflecting white, it houses the hop-harvesting machine, which from the brightness of the field, can’t be seen. 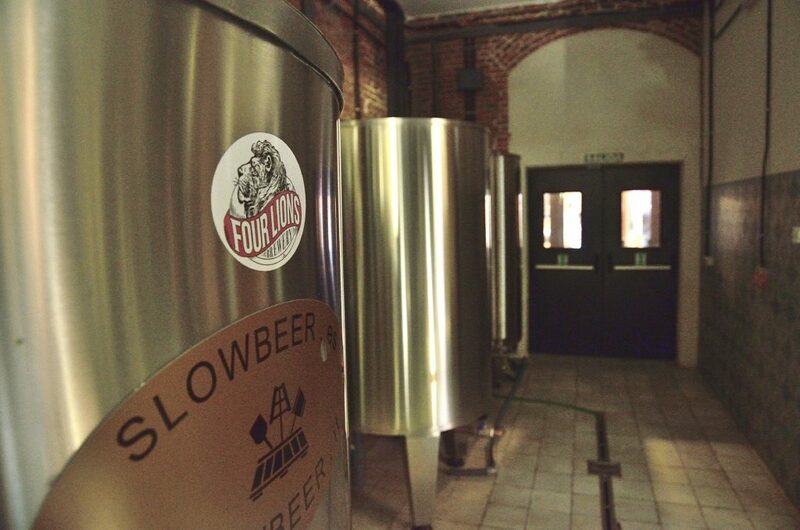 We know it’s there by the noise, and the ravenous gulps of hops being taken into the barn, never to return. been “cured” as he calls it, for more than 80 years. Unlike the bleached outdoors, it’s breezy in here. The hops smell of hay and chlorophyll. I ask the family why they don’t use modern machinery to help them bring in their harvest. Owner of Orbigo Valley Hops Paco Gutiérrez translates, and their answer replicates plenty of similar stories from people within the hop-growing community in this area. The Orbigo river is clear and ice cold, bringing life to the valley it has worn a comfortable notch in for thousands of years. As we stand on Passo Honroso Bridge in Hospital de Orbigo looking to the mountains lining the horizon, a fisherman waits patiently in the middle distance, waist-deep, casting for rainbow trout. We’re passed by six camino pilgrims as we gaze upstream – this Roman bridge is a right of way for those walking from León to Sarria. 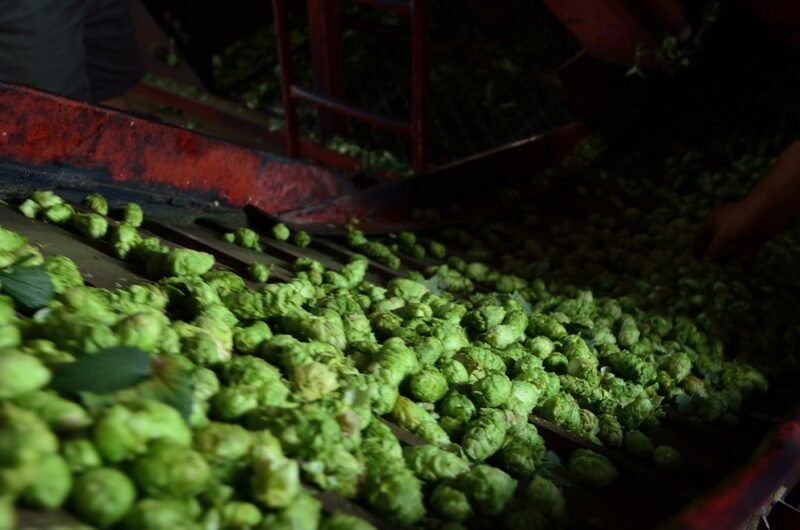 An intricate network of above-ground irrigation canals and channels bring water to the valley, the temperature keeps the hops’ roots cold overnight, we’re told. Paco traces his hand over the landscape to to top of an imaginary hop vine. 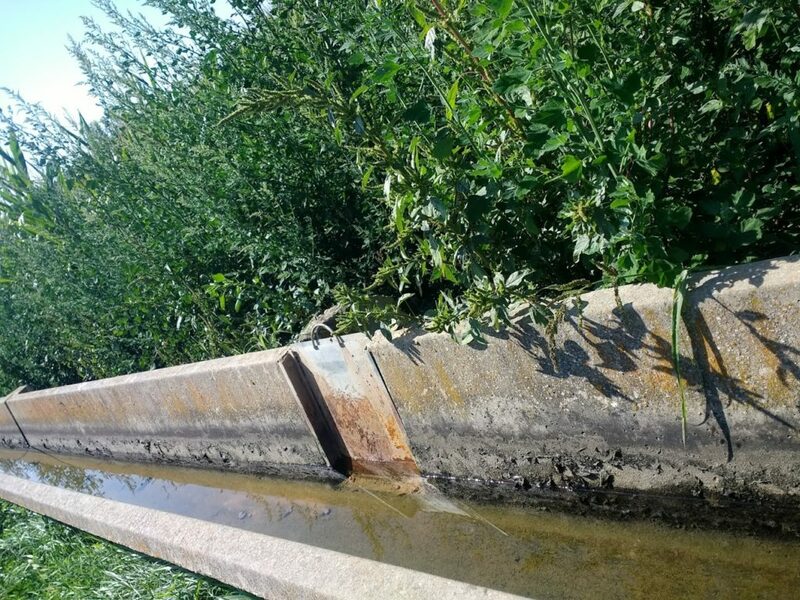 An irrigation canal separating sweetcorn and hop fields. 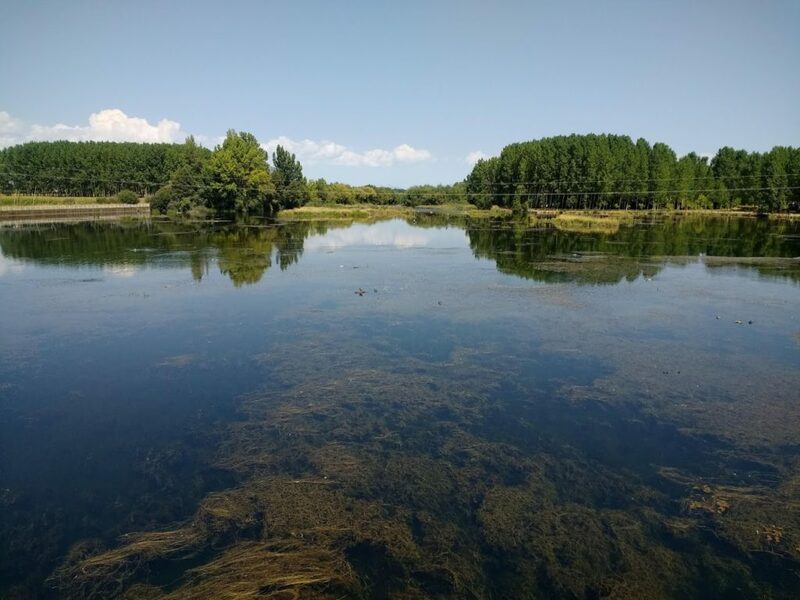 Everything here begins with the river, so we left the bridge and took a trip to the nearby Orbigo reservoir, to see where this area’s lifeblood is protected. We talked about climate change a lot. How Andalucia is becoming a desert. How hot southern weather is moving north. How different crops are being trialled in different areas to cope with new conditions. Most of all, we talked about how water conservation is a priority, even in the water-rich Orbigo Valley, and how the population could learn to save, share and do without water. Watching black-finned fish trail gracefully through the water sending bubbles up to the surface with every movement, it was hard to imagine a barren wilderness here. Even so, the reservoir was low, and birds flapped irritably on a stony bank that two months earlier would have been submerged in reflective black water. 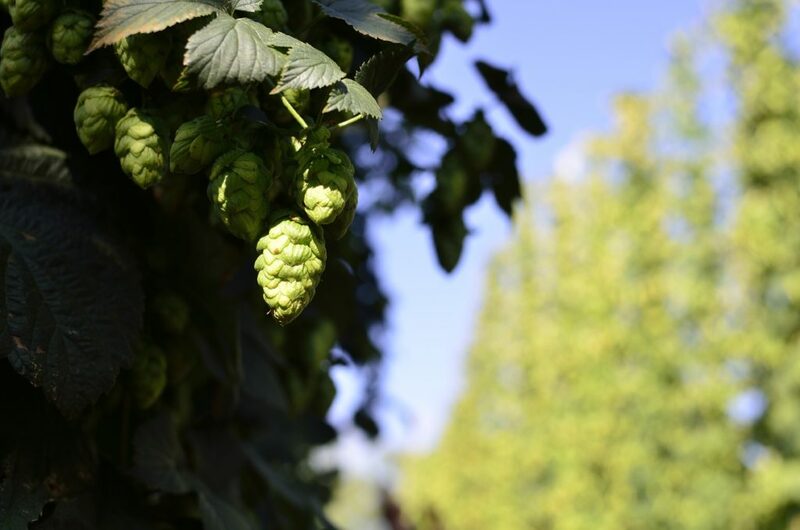 If you didn’t visit the place, it would be easy to fall for the cliché that the Orbigo Valley’s remote towns and villages are populated with people surviving on tough self-sufficiency, but at least in the hop-growing industry, that’s not the case at all. 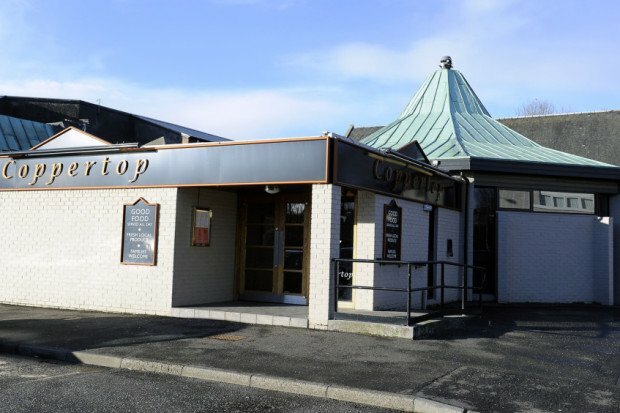 To begin with, the people of the Orbigo Valley were encouraged to grow hops to boost the economy after the devastation of the Second World War. 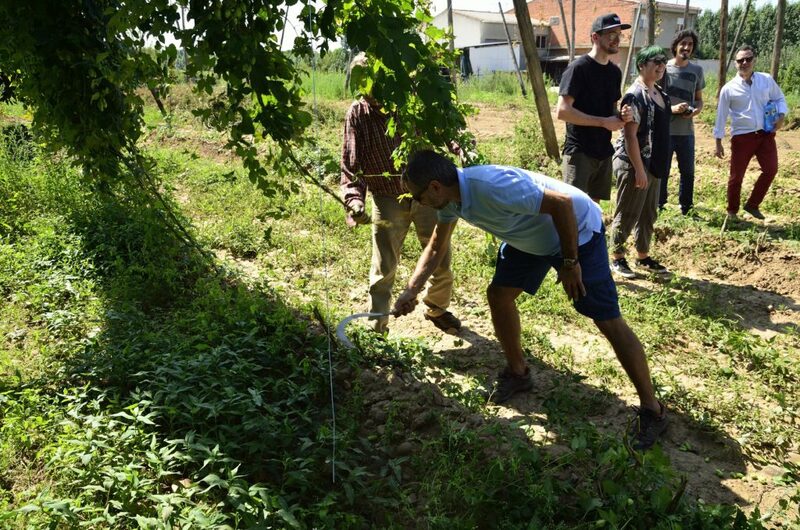 Farms worked collaboratively to collect harvests, and planted sensitively, to avoid cross-contamination. 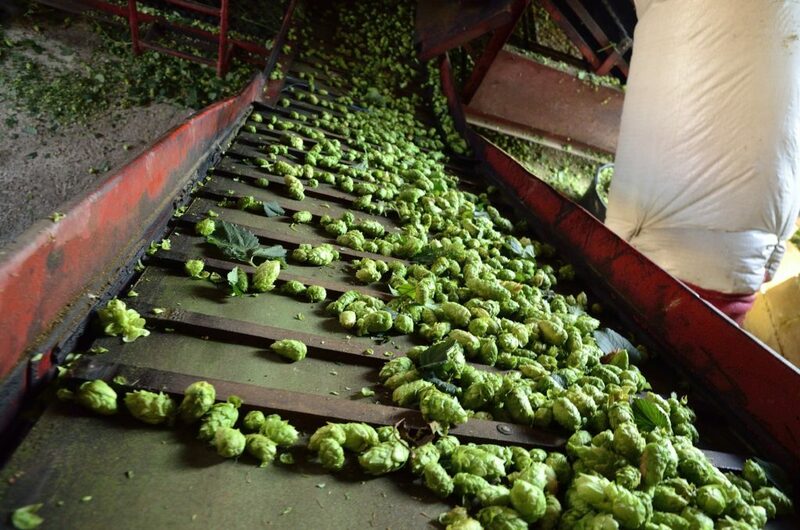 Since female hops can spread their pollen over 20km, this was, and still is, an important step to take. 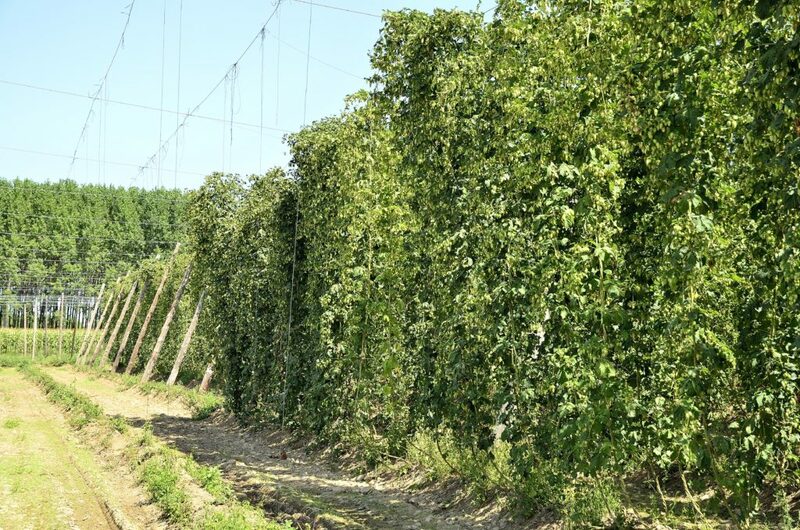 Much later, the climate and unusually fertile land was deemed perfect for hop growing, and commercial projects began in earnest. 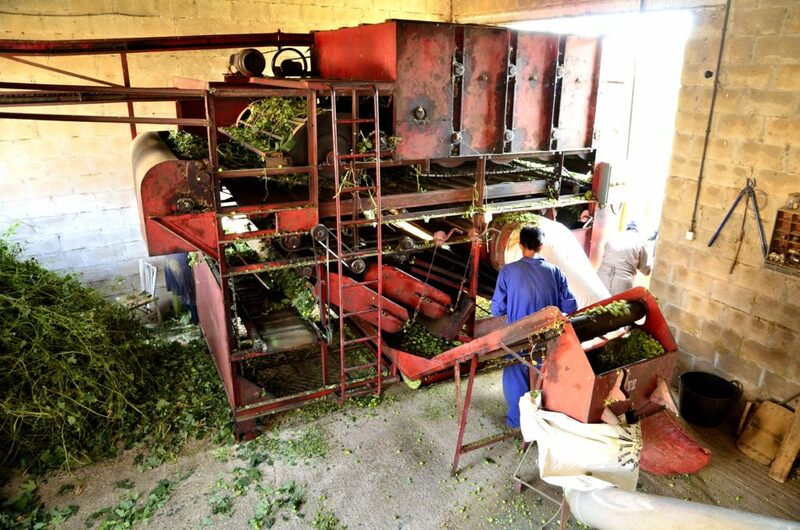 Until the 2010s, only two companies grew 99% of all the Orbigo Valley’s hops. 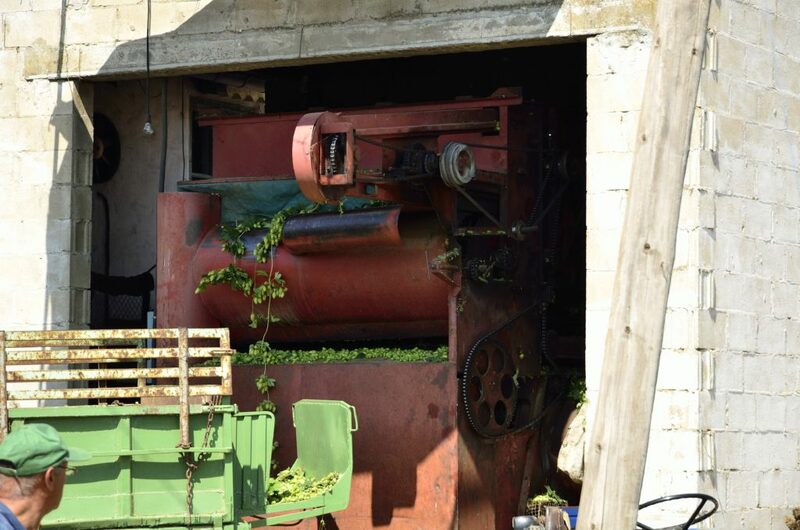 In 2018, 1000 tons of nugget were grown and harvested by Baath-Haus and Hopsteiner within just 30km of the Orbigo Valley. 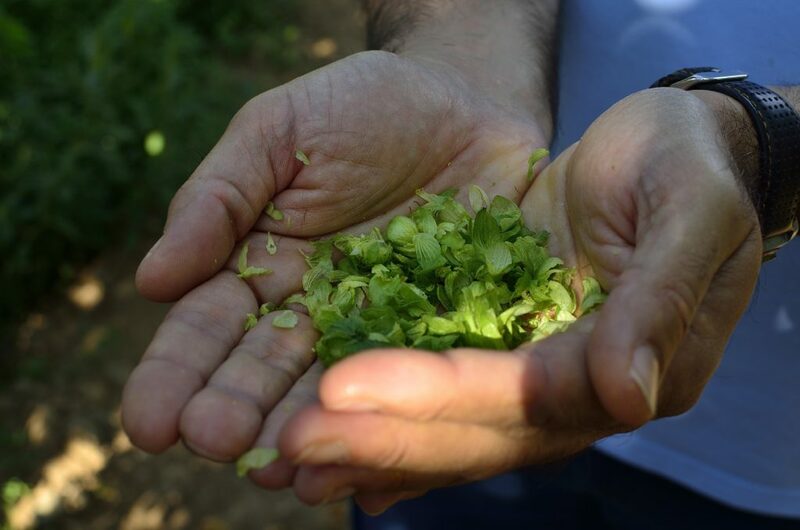 A very small fraction of these Spanish hops are kept within their country of origin. 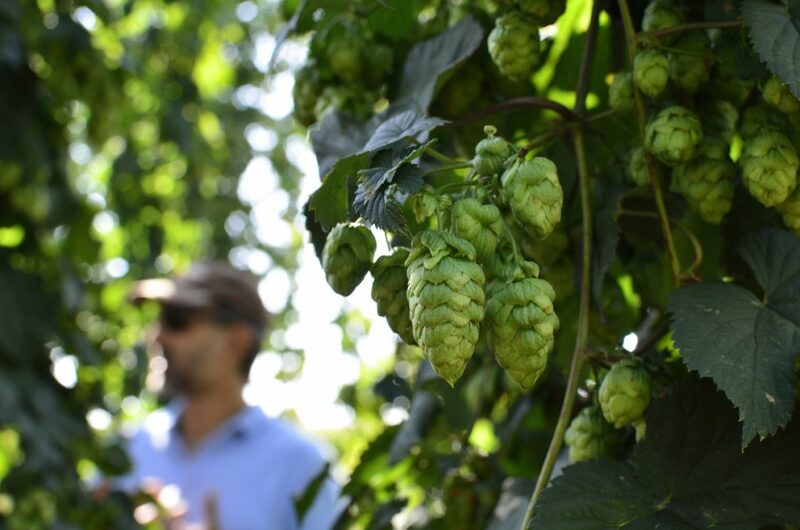 With 1% of the market, local growers working together as part of the Orbigo Valley hop-production co-operative harvest around 10 tonnes of Columbus, Chinook, Magnum, Summit, Fuggles and Nugget every September. It’s not a hefty operation, but Paco and the growers he works with believe it’s better for farmers to grow premium products they can take pride in, while supporting the local businesses around them. As a brewer as well as a hop grower, he says he looks to find ways to sustain his valley’s way of life. It’s an unspoken courtesy that politics should be left at the door at mealtimes, but in every conversation we always ended up there. In León, around the dinner table, food and drink is a highly political subject. 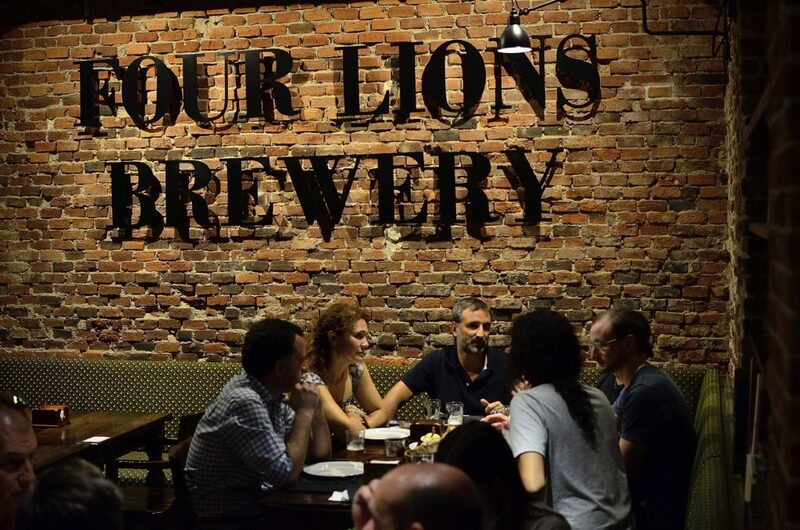 Despite the language barrier, lively discussions about “people’s beer” continued for hours. 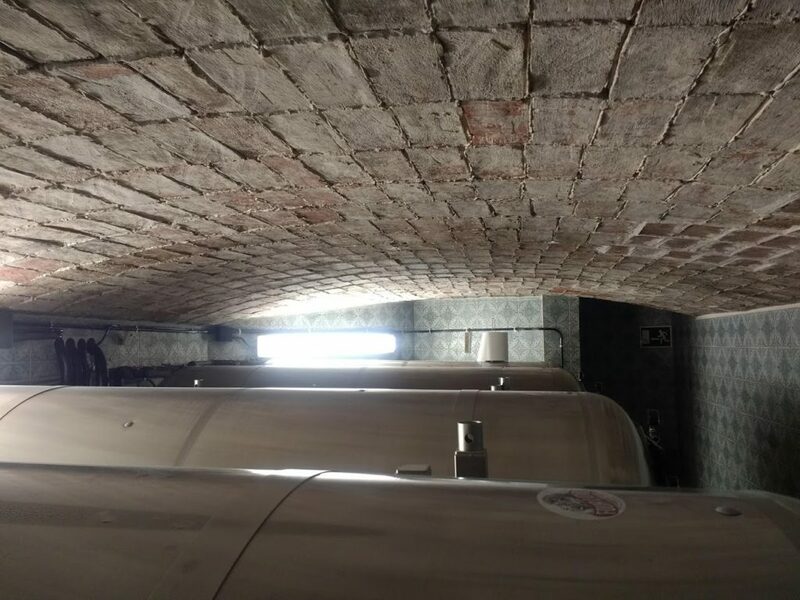 Paco’s brewery is based in León, a modern university city with Roman ballast and the Camino de Santiago running through it. Here, craft beer is a term of respect, and Gerardo Richtiger the head brewer uses it judiciously in all of his sentences. 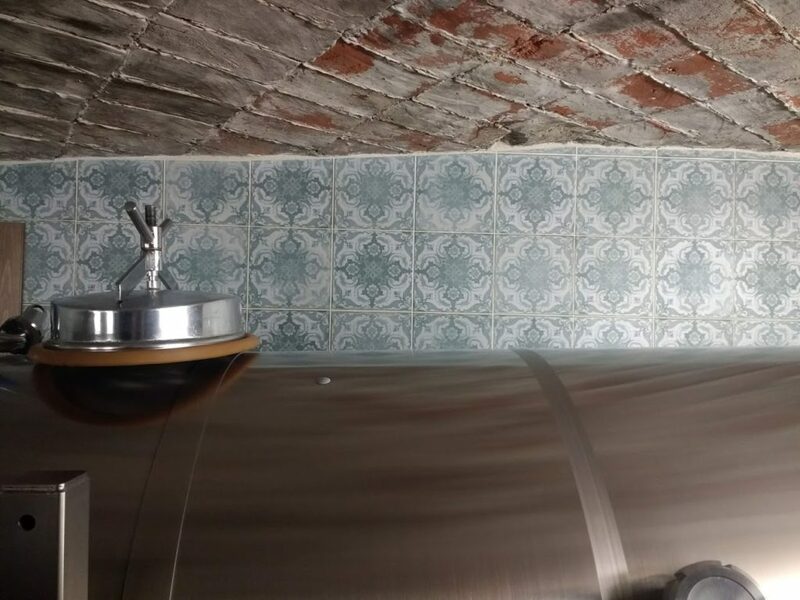 For him, English real ale is craft – just as much as a NEIPA by his friends at Naparbier, or the pilsner he lagers at a crisp eight degrees in a Roman wine cellar underneath the brewery floor, tiled in original vintage Spanish ceramic. In this beer he uses Fuggles, but grown in the Orbigo Valley. 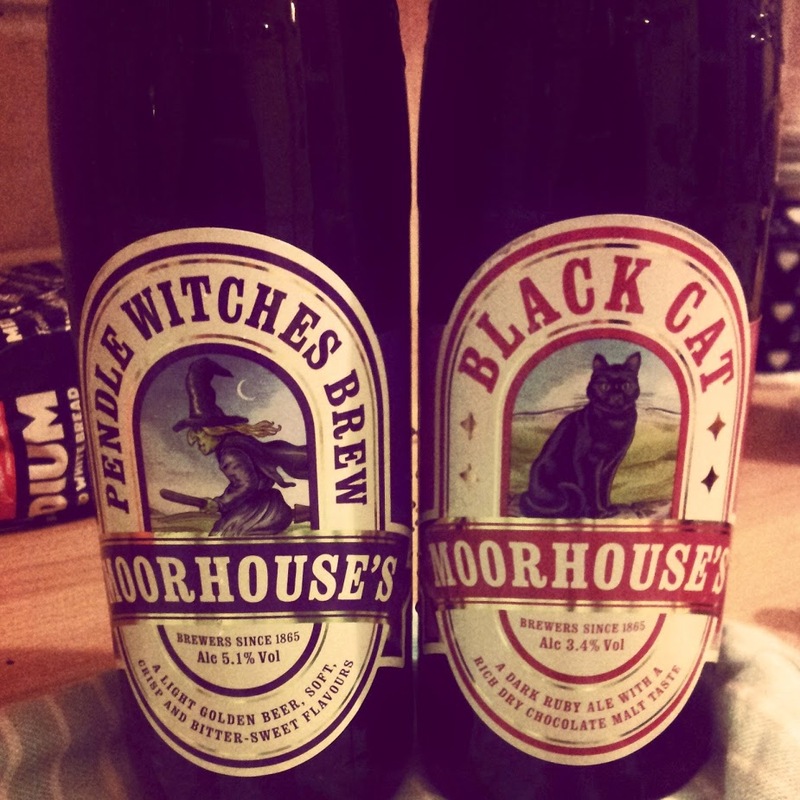 This gives them a juicier, more fragrant attitude, adding a little more hop character to the ale. It’s a great take on a classic, especially when we’re given an uncarbonated taste, at the traditional serving temperature. 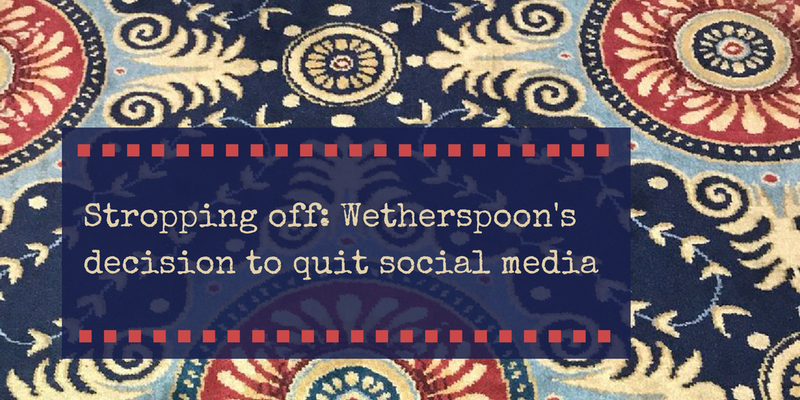 It might be even sooner than that, given the rate at which locals are choosing craft beer over their regular drinks. León’s main experience with craft beer might be centred around a local brewery, but beers from all over the world pass through the city thanks to a friendly network of bars selling everything from Naparbier Berlinerweisse from Barcelona and Birrifico Lambrate IPA from Milan to Barleywine from our very own Siren Craft. We even found a place selling Northern Monk’s Eternal. These bars aren’t just catering to tourists, either. 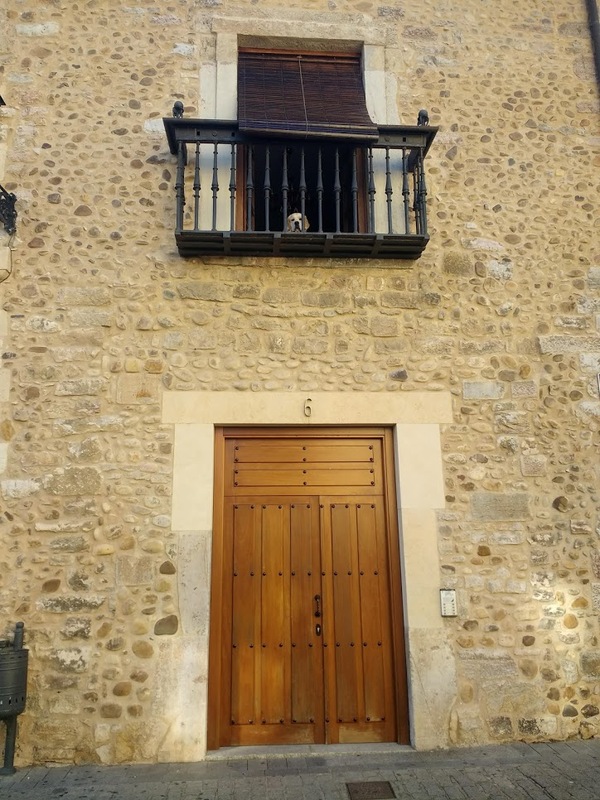 Speaking Spanish is necessary here, and most of the people enjoying IPAs and APAs – ordered as “appas” as in “una caña de appa” – were Spanish; if not from León, then visiting from other parts of the country, or staying here because of university. 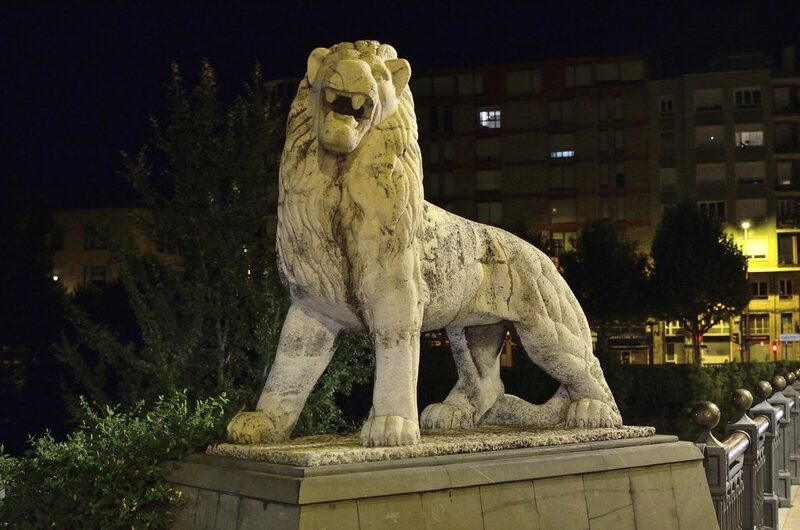 The next day, it was time to leave León and take a three and half hour train to Madrid for the next leg of our trip. 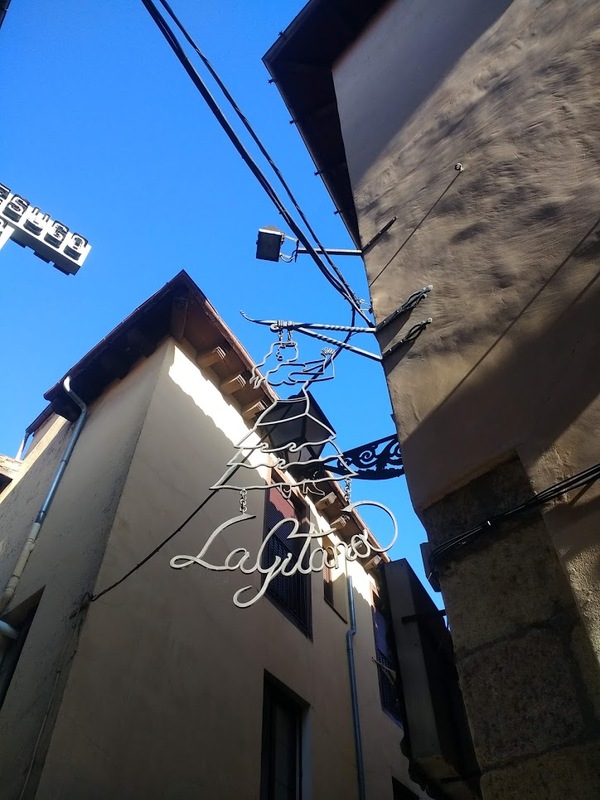 I was sad to leave, it’s a surprising and beautiful place, and although everyone knows I love a good old city full of ancient stones and flying buttresses, I enjoyed the readiness it has to take on new things. 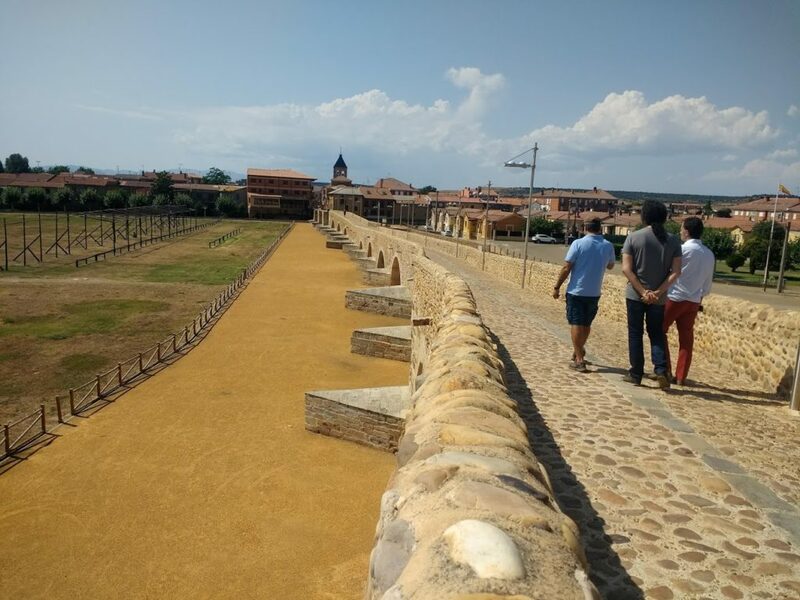 As much as I love Spain, there are towns I’ve visited where the locals point blank refuse to try anything other than wine and lager. 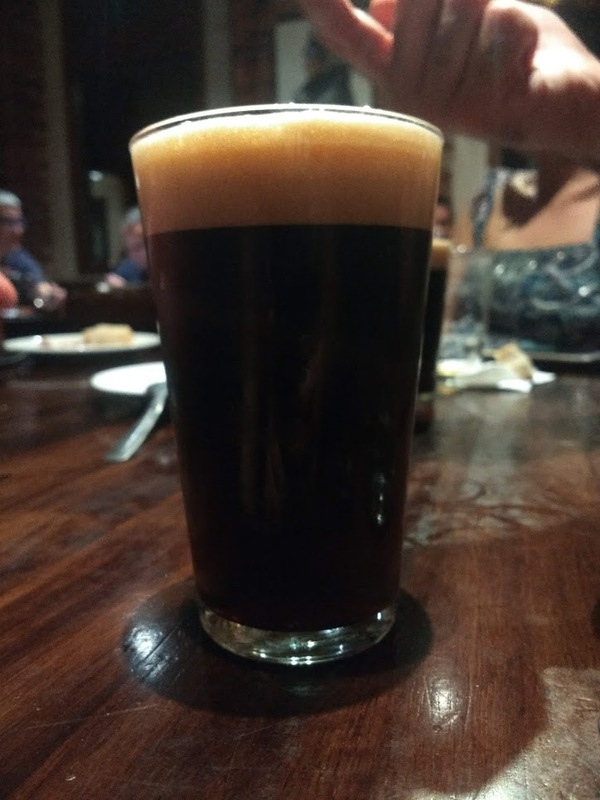 In León, that might have been true some time ago, but the beer scene is well and truly taking off now, and I’d be excited to return in a couple of years to find out how it develops. 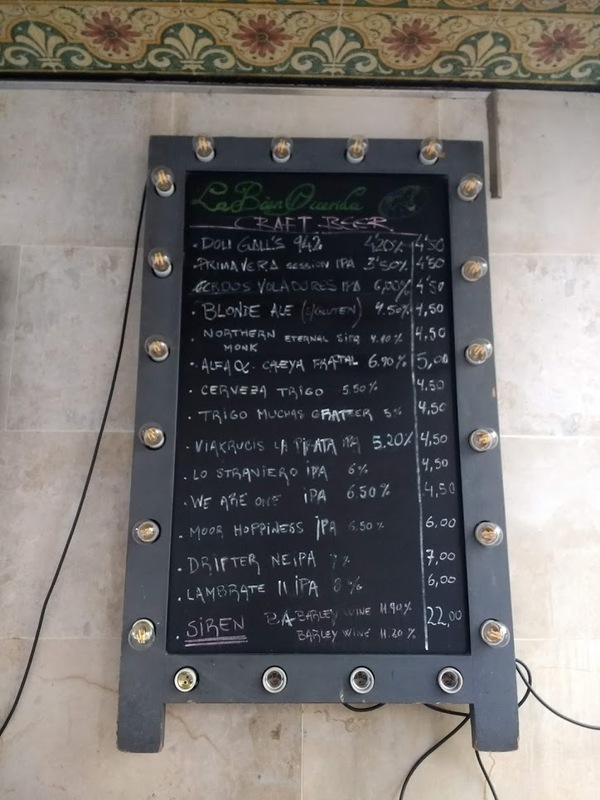 Would it be ridiculous to think that all the rustic tapas joints we visited would be offering local IPA on draft as well as their standard pils? 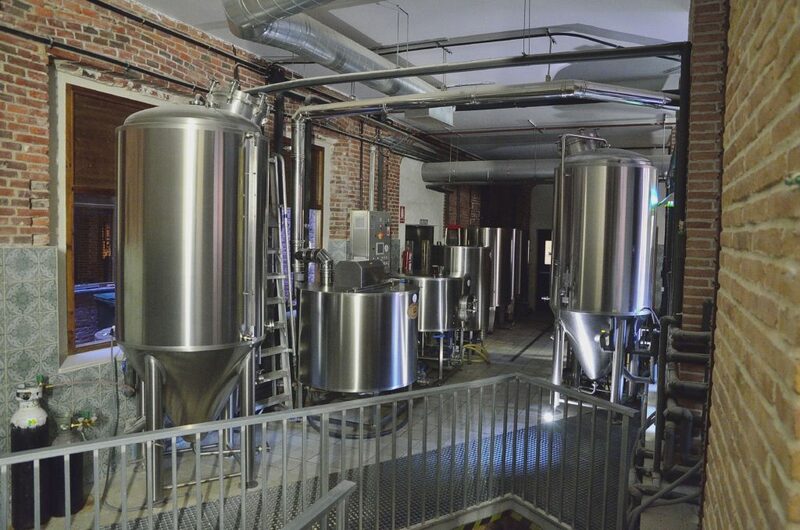 In a provincial city where 80% of beer drinkers have gone from choosing lager to just 25% in favour of trying other styles in just four years, it’s not out of the question. 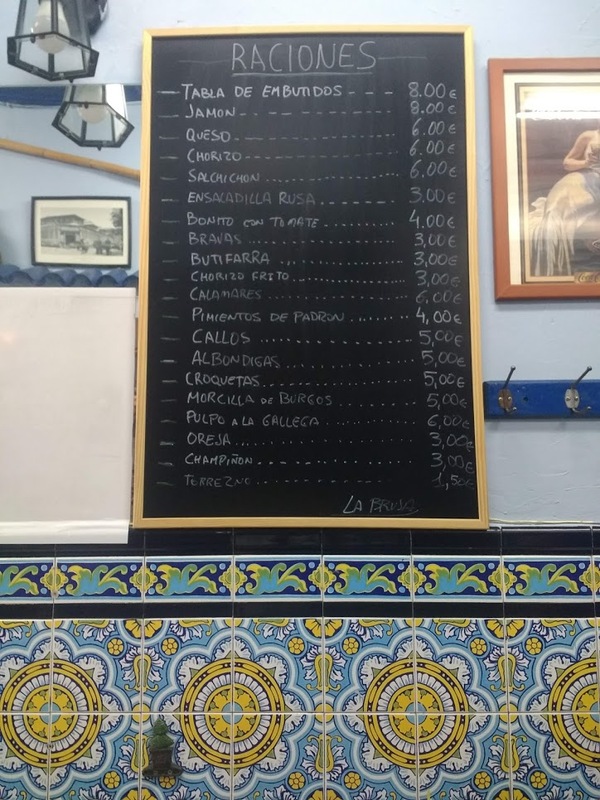 When Amstel is €33 a keg (allegedly), it might not be practical for most tapas bars to even consider it at this present moment… but it’s possible. Part 2 coming soon: Selling Spanish beer to Spanish people in the Spanish capital. Most of the photos used in the piece are the work of Iván Sánchez Criado. Please do not use without permission.